Your only goal in Kagi Nochi Tobira 2013 is to find the key and use it to open the door. Sometimes you'll have to slide items around the screen, sometimes you'll have to use multi-touch to manipulate objects simultaneously. 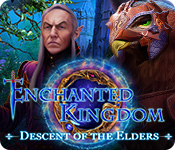 The game's 20 levels are balanced between puzzle- and reflex-centric in nature, but the difficulty is balanced so you'll never sit and stare at the screen for too long. Kagi Nochi Tobira 2013 is a free download for both Android and iOS, but there are small ads at the bottom of the screen. Unobtrusive, but present, just so you know. The difficulty also seems lower than previous games in the series, and you might blaze through everything before you realize it. Fortunately there's a star ranking system that gives you an excuse to replay puzzles for a better score. Kagi Nochi Tobira 2013 Walkthrough now available! Tap the switch to turn on the light. Pick up the key and tap the door to complete the level. Tap and drag the lantern to the upper right corner to find the key. Next, move the lantern down to the lower left corner to find the door. Tap the door to exit. First the falling key to catch it. Now tap the falling door next to complete the level. Tap and hold your finger over the ring at the right side of the floor. Drag the ring upwards to lift up the floor, revealing a key at the lower left side of the screen. Keep the ring held up while you tap the key to take it. Tap the door to complete the level. Swipe downward starting at the top line and ending at the bottom line to drop down the key. Next, swipe upward from the bottom line to the top line to raise the door. Tap and drag the bars at the bottom of the screen, then release them in the outlined spaces to set them in place. Arrange the bars so that they create the shape of a number, and so that the equations that the numbers make are true. Create four correct equations to reveal the door and key. To find the key, write out: 5 + 3 = 8 and 3 + 5 = 8. To find the door, make: 6 + 3 = 9 and 3 + 6 = 9. Take the key in the space at the upper half of the right number. Tap the door to exit. Tap the lower file icon to view the message. Note that the first word is KEY and the second is DOOR. Tap the upper folder icon to view the list of folders. First tap the K folder, next tap the E folder, and lastly tap the Y folder (file destination: K/E/Y) to find the key at the lower right corner of the screen. Tap the folder icon again to return to the list of folders. Now tap the D folder, secondly tap the O folder, tap the O folder again, and finally tap the R folder (file destination: D/O/O/R) to find the door. Tap the switch to move the door to the left. Rapidly tap the false door to break it down and and find the key. Hit the switch again to raise the real door on the right. Tap the switch until all of the lines should meet at a single point near the upper right side of the screen. Tap the point where the lines intersect to raise the key on the left platform. Again, tap the switch repeatedly until the lights all intersect again at the lower left side of the screen. Now tap this point where the lines meet to lift the door on the right platform. Take the key and open the door to exit. Drag the circle and follow the arrows to move it in a spiral motion, changing direction every time you hit a wall: right, down, left and up. Be careful not to release the circle at any time or the puzzle will reset. When you reach the center of the spiral, keep the circle held in place and, with another finger, tap the key to take it. Now start moving the circle in the opposite direction to retrace your steps back to the beginning. This time you'll need to move it left, down, right and up. Once you return to the starting point, a door will appear at the center of the screen. Tap the door to complete the level. Tap the small squares in the correct order so that all of them are darkened. Tapping one square will switch it on or off, as well as any other squares that are next to it. 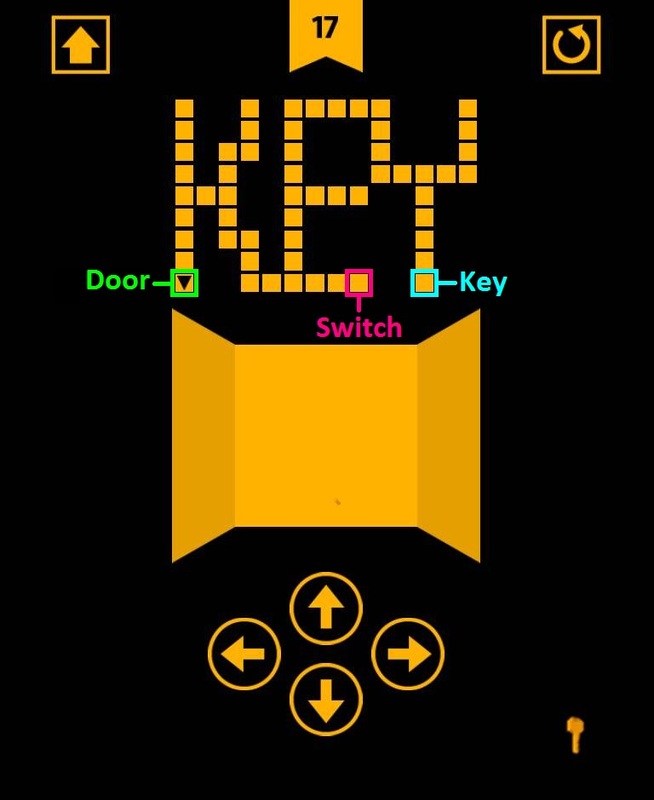 Hit the switch to lower the large orange square, revealing a key at the top of the screen. Take the key and tap the switch again to raise the orange square. Now tap the small squares so that all of them are lit. Tap the switch to lower the square again, this time revealing a door. 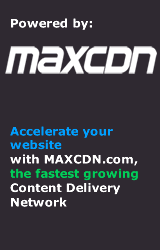 At the top left corner of the large orange square, you'll see a black cut-out square section. 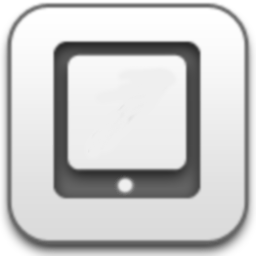 Tap any area adjacent to the black square to move the cut-out area up, left, down, or right. 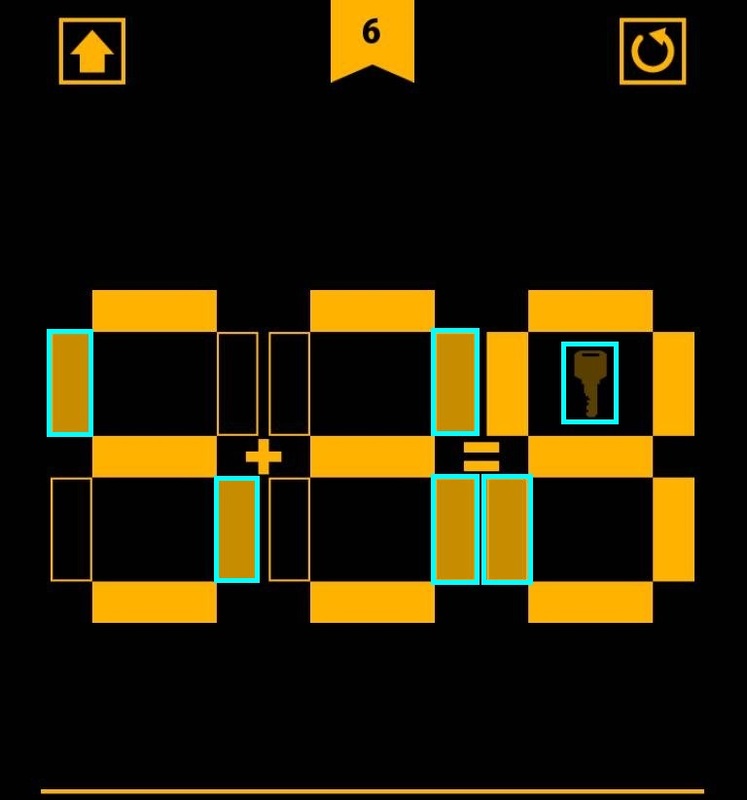 Search through the orange square by moving the cut-out area around to find the key and then the door before the bar at the bottom of the screen (indicating the time remaining) runs out, or the puzzle will reset. The location of the door and key are randomized, but you can usually (but not always!) find the key around the lower right corner of the square and the door near the upper or middle left area. 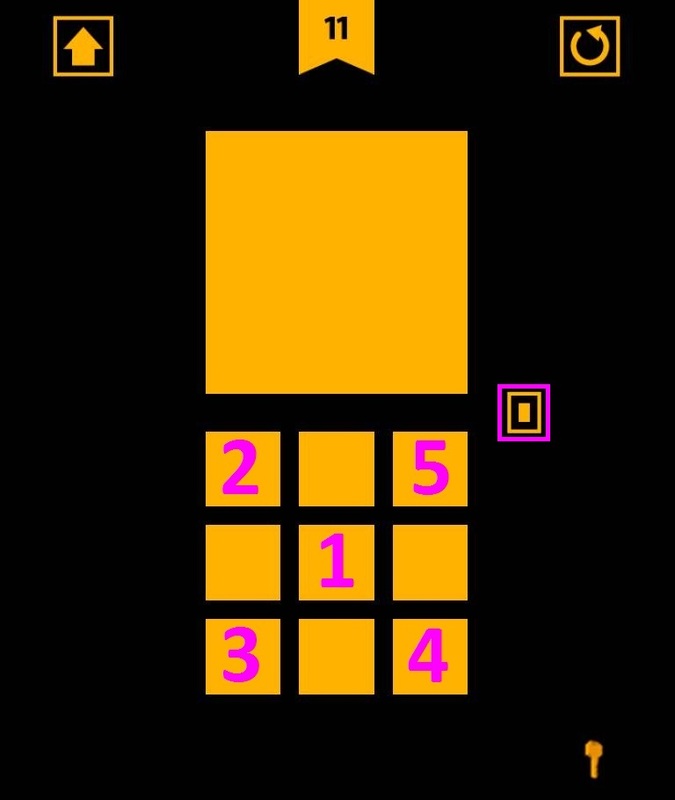 Once you locate the door, quickly tap it to complete the level. In this level, the whole screen is blacked out except for a small spotlight which starts at the first visible arrow. Tap and drag the spotlight and follow the arrows to locate the key near the lower right section of the screen. 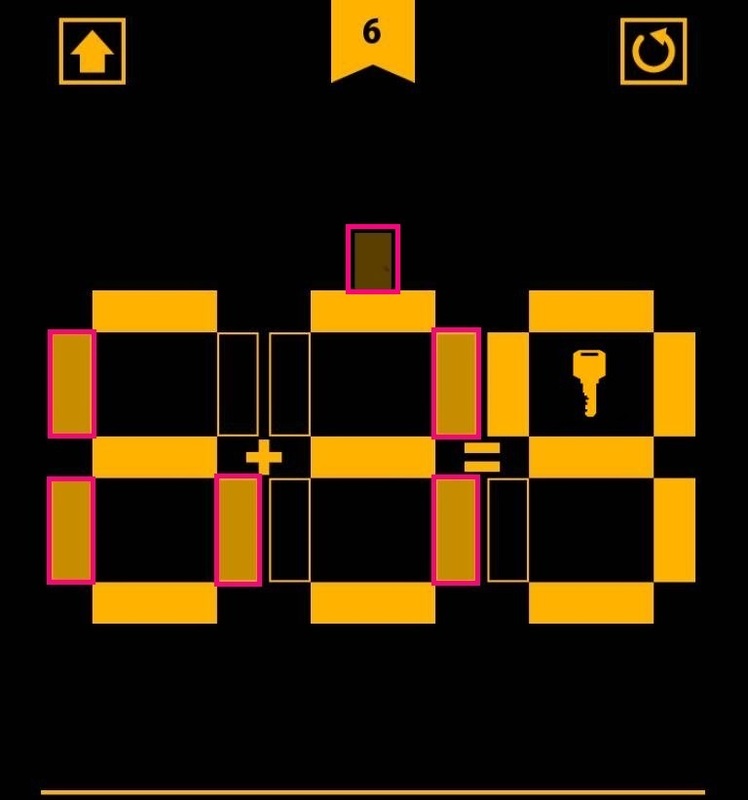 Collect the key, then drag the spotlight diagonally towards the upper left corner of the screen to find the door. 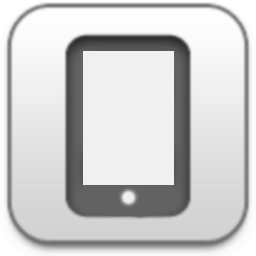 Tap and hold the switch to release the line of squares near the upper right area of the screen. Quickly drag away from the pursuing squares, making sure not to stop holding your finger down, to lure them away from the square outline where they originated from. Once all of the squares are away from the outline, use a different finger from the one you're keeping held on the screen to tap and collect the key. While still dragging away from the squares, use another finger again to tap the door and exit. Press and hold the "LOAD" button to start the load bar. 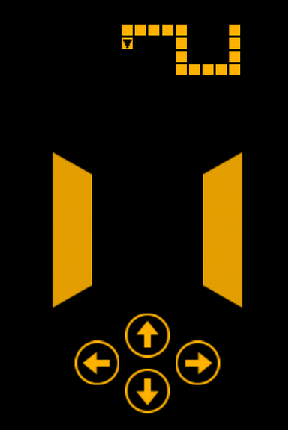 After the load bar stops about a fifth of the way in, tap and drag the orange bar to the right to fill the whole outline. Once the bar is filled, the exit door will raise up from the floor. Drag the "LOAD" button down to reveal the key. Take the key and tap the door to complete the level. If you look carefully at the middle of the square, you'll see a series of small, dark markings in a line. Tap the left side of the square and drag across the line of markings to tear off a strip of paper. In a quick single motion, drag the top half of the orange box upwards to flip open the lid. Take the key revealed at the top of the box. Although the door is blended in, you can find it by locating the doorknob sticking out at the bottom right corner of the box. Tap the door to exit. In this stage, you need to navigate through the maze using the arrow keys and locate three important objects: a switch, the key, and the door. Walk forward three times (which will move you down on the map at the top of the screen). Turn right, walk forward four times (towards the left on the map). Turn right, walk forward three times (upwards on the map). Turn left, walk forward four times (towards the left on the map). Turn left, walk forward four times (downwards on the map). Turn left, walk forward three times (towards the right on the map) to find the switch. 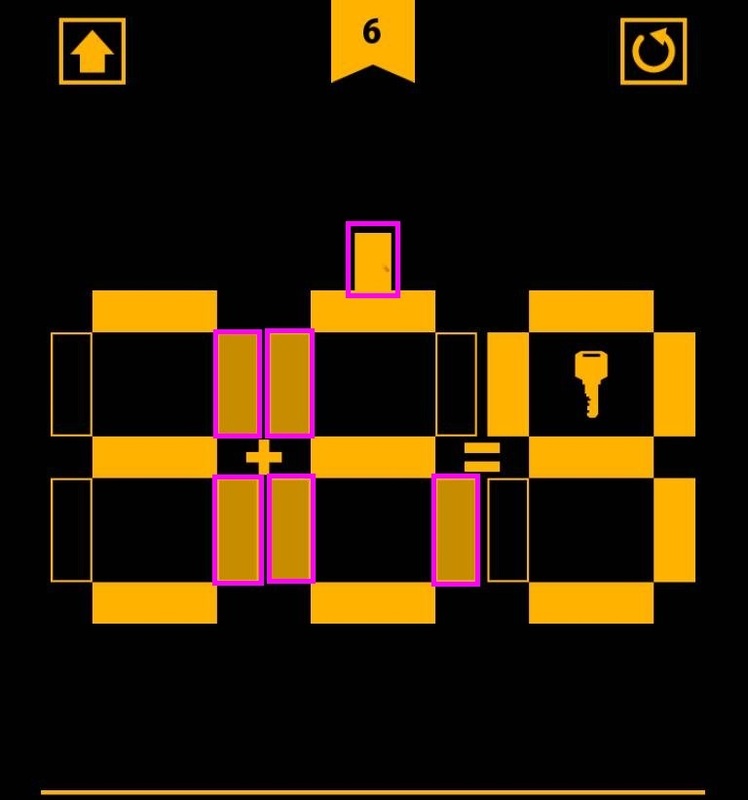 Tap the switch to lower a wall in a different section of the maze that will allow you to access the key. Turn right twice to face back around, walk forward three times (which is left on the map). Turn right, walk forward four times (upwards on the map). Turn right, walk forward four times (to the right on the map). Turn right again, walk forward three times (downwards on the map). Turn left, walk forward twice (to the right on the map). Turn right, walk forward five times (downwards on the map) to find the key at a dead end. Pick up the key on the ground and turn right twice to face around again. Finally you can make your way to the door. Walk forward five times (upwards on the map). Turn left, walk forward twice (towards the left on the map). Turn left again, walk forward eight times (downwards on the map). Turn right, walk forward twice (towards the left on the map). Turn right again, walk forward two times (upwards on the map). Turn left, take one step forward (towards the left on the map). Turn right, walk forward twice (upwards on the map). Turn left, walk forward two times (towards the left on the map). Turn left again, walk forward four times to reach the door at the end of the maze. Tap the door to escape. Rapidly swipe back and forth from left to right on top of the fan to spin it. The fan will lift the orange square upwards, revealing a key near the center of the screen. Quickly tap the key to take it. Slide the bottom circle all the way to the right on the bar to reveal the key inside the square outline at the lower right corner of the screen. 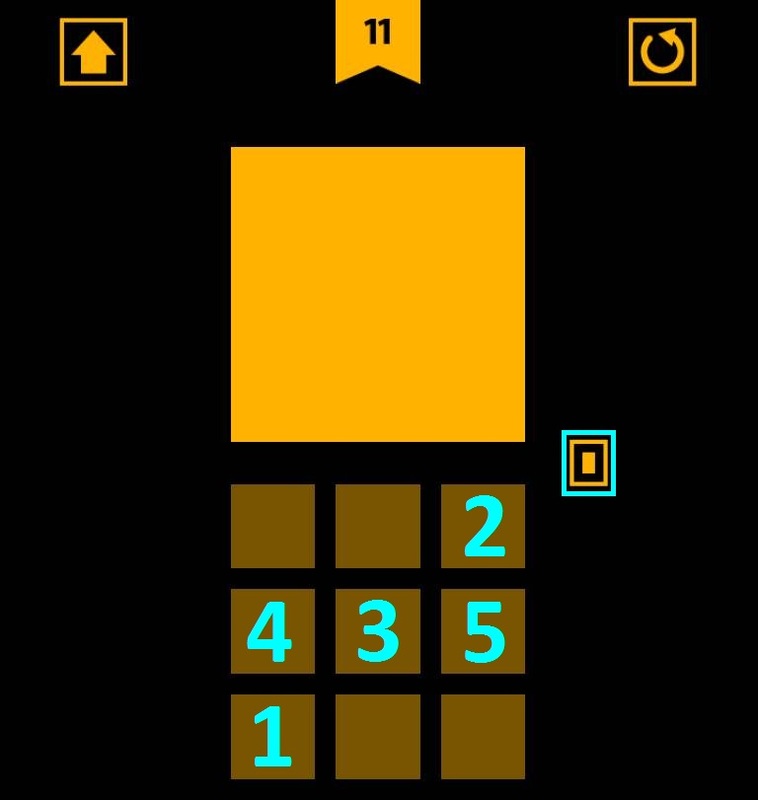 Taking the key will also unlock the numbers and the adjacent bars at the top of the screen. Note the position of the number tiles in center. Although they're listed in numeric order, some tiles are above or below the other tiles. You can adjust the slider at the bottom or the slider at the right to move the tiles so that their positions are easier to see. Arrange the numbers at the top of the screen so that they are listed from left to right in order of the lowest to the highest. In other words, whichever number is on the tile at the bottom of the stack is the first number you place at the far left space in the list. The tile at the top of the stack is the number you position at the far right of the list. Tap a tile to select it, then tap a different tile to swap their places. The lights at the bottom of the list indicate how many numbers you have correctly positioned. The order of the numbers is randomized each playthrough. 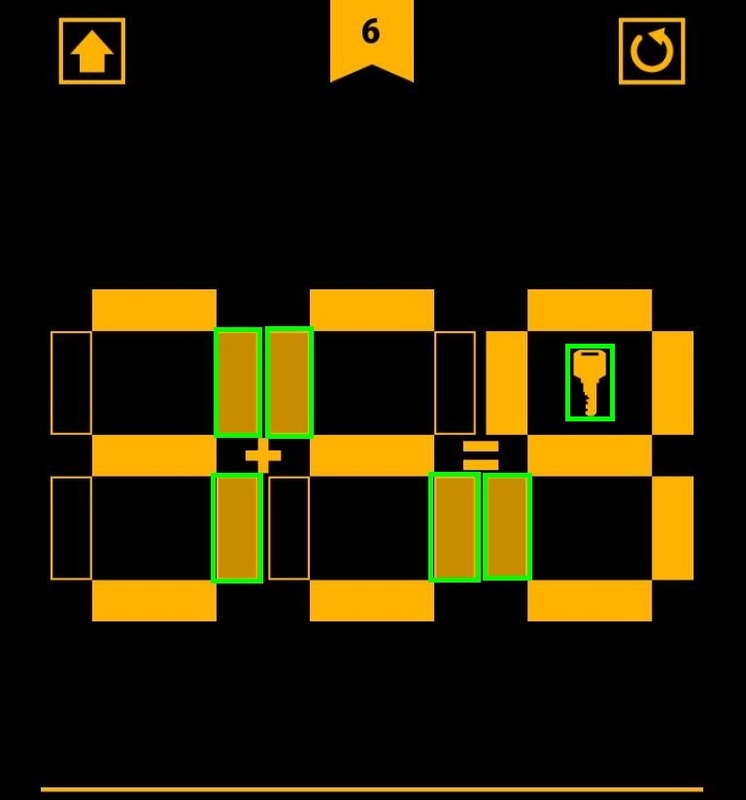 After the numbers have been correctly arranged, tap the door that appears in the box at the lower right corner to complete the level. Slide the horizontal bar (that makes up the floor) underneath the door all the way to the right or the left to remove it. This will cause the wall to fall over, revealing a key at the center of the screen. Take the key, and then drag the wall back up to stand it upright. Important information at least for me was missing from the review: most (if not all) of the levels are taken from Kagi Nochi Tobira and Kagi Nochi Tobira 2, with some levels adjusted for the touch screen. Therefore, if you have played both Kagi Nochi Tobira and Kagi Nochi Tobira 2, you will not find many new puzzles. This does not mean you will not find new challenges, especially if you want to get 3 stars at all levels. 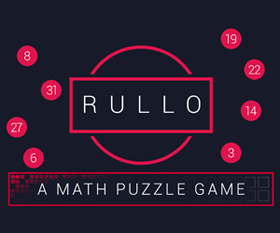 However, you may be disappointed if you are expecting 20 new puzzles. Actually it has more in common with Bart Bontes Me and the Key and Full Moon instead of the 100xyz/escape games. The goal is just an abstract one and therefore the gameplay on each stage does differ so much more than in those boring escape games.